Cary, NC – You do not need to look far to find local beer brewing in North Carolina, or wine for that matter. But one Cary businessman, together with two other entrepreneurs from around the Triangle, are looking to add vodka to the list of North Carolina originals. Mark Mullins has worked in the alcohol and beverage business for around 12 years but started thinking about locally made vodka while talking with his friends Cary Joshi and G Patel at a monthly meeting. 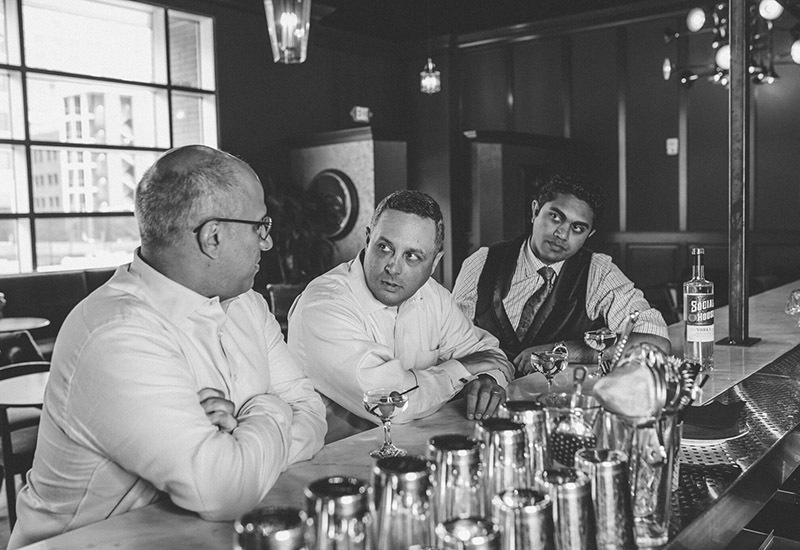 Through those meetings, Mullins learned Joshi and Patel were looking to start a local distillery for North Carolina spirits. And after a few years of searching, the trio established Three Stacks Distilling Company in Kinston and are set to start making and distributing Social House Vodka. And Mullins said the business is linked to Cary, with 15 investors from the area joining in to help the company take off. They also worked with North Carolina State University to develop their recipe. One of the elements of Social House Vodka Mullins said is important is use of locally sourced corn. “You put a face to a name and have a one-on-one interaction with a farmer,” Mullins said. Working with farmers means connecting with a community, Mullins said, and that also results in better service. “They’ll want to give you their best product because they know they are representing their community,” Mullins said. And by transporting corn over a shorter distance, Mullins said it fits with the company’s goal of having a zero-net carbon impact. It is not only the corn that is locally sourced but the water as well. The site for the Three Stacks Distilling Company is in an old power plant in Kinston that stopped being used to produce electricity in the 1970s. This 110+ year old plant has two water wells in it that allow the distillery to draw from the Black Creek aquifer. Mullins said construction on the distillery is finishing this week and then production will start right after that. 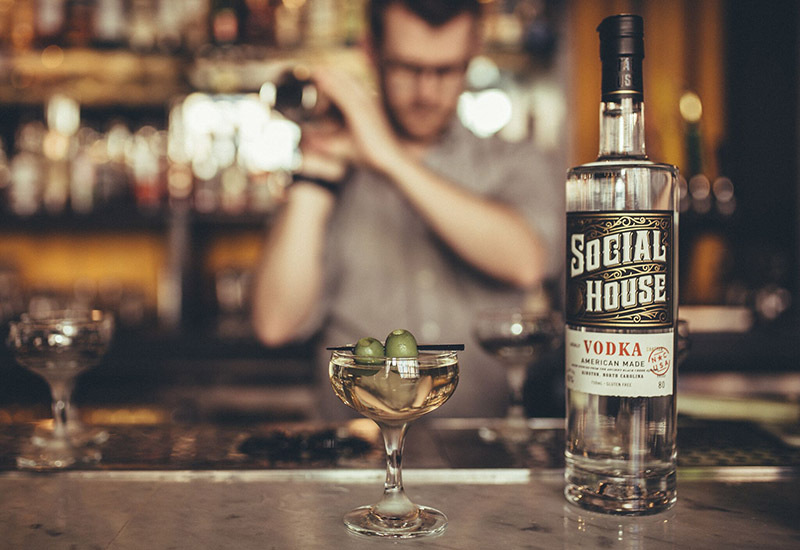 Consumers and bars can expect to start ordering Social House Vodka in July 2017. Story by Michael Papich. Photos courtesy of Social House Vodka. 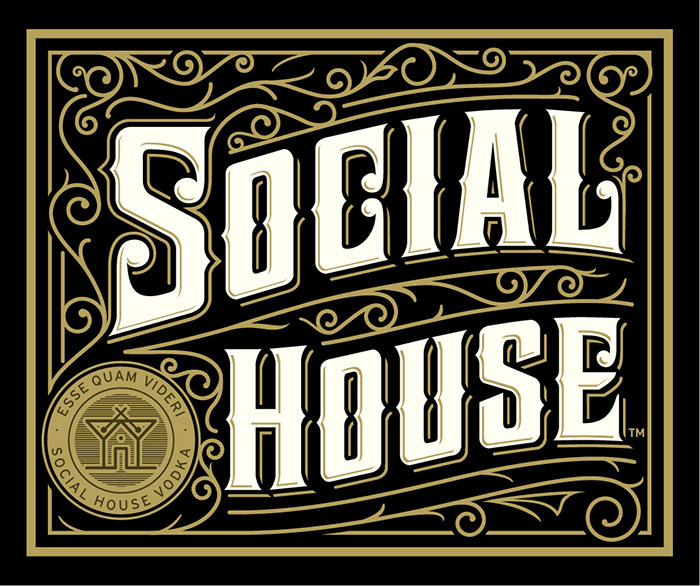 Mark, looking forward to the Grand Opening of Social House and my first drink. Good luck.